Right now, there’s a deal going on. you can save 20% off of Kasandrinos International organic olive oil. Olive Oil is my go to oil when I’m cooking. I use it to pan fry chicken, season veggies, on pasta and more. And over the years I have tried various types of olive oil. I can attest, it matters what type of olive oil you use. Not all olive oil is equal. 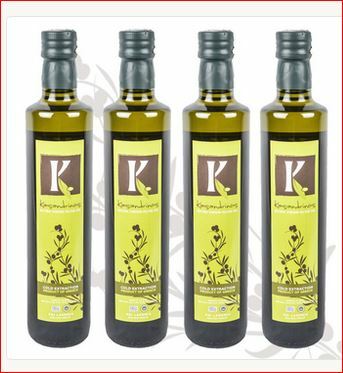 If you have someone on your gift list that loves to cook, consider purchasing them some of Kasandrinos International organic olive oil. I’m sure they would appreciate it. I know I would love it! I love cooking with olive oil, but since it can be expensive, a deal is always appreciated! Thanks!